Be equipped in case of puncture on your daily commute or when you move to town. 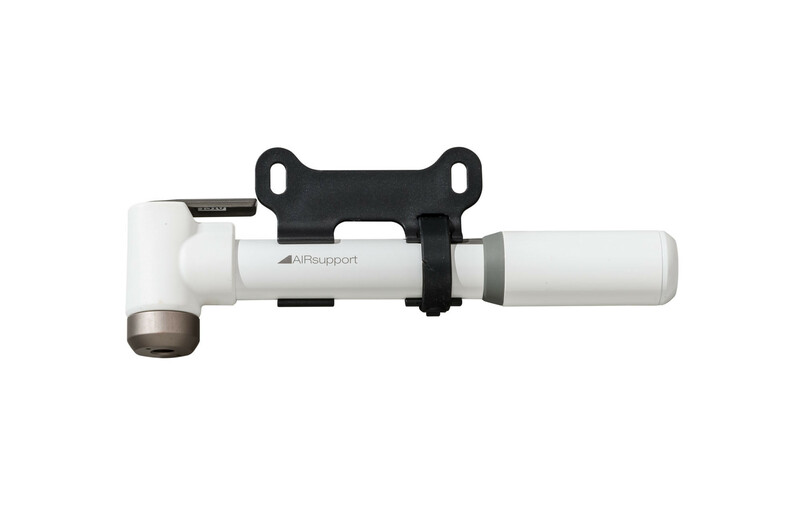 The hand pump Air Support is designed for tires city bikes, cruisers or leisure. The tip for automatic selection binds to Presta or Schrader valves with a lever for simple and fast inflation to 80 psi.